A 27-year-old man from Bilton has been released on police bail following a burglary at a property on Crag Lane on Saturday. 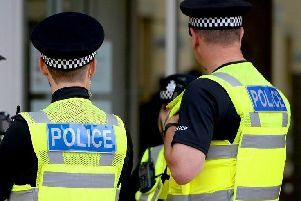 North Yorkshire Police were called to the property in Harrogate at around 2am on Saturday, May 30 after reports of a burglary. The occupants of the property were alerted to the incident after investigating a noise downstairs to find their front door open. When they investigated further, the discovered that electrical items and a purse were found to be missing from the house. Officers attending the crime found a number of bags discarded nearby and, after further enquiries, a local 27-year-old man was linked to the incident. The male was arrested later that day in Harrogate and he has since been released on police bail to allowe for further enquries.